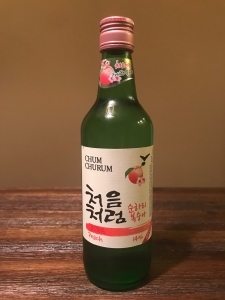 After 10 hours of research, testing, and perusing the many liquor stores and online vendors available, we can conclude that Chum Churum’s Apple soju is the best flavored soju you can buy in the U.S. today. I have been on a massive sugar rush lately as each flavored soju packs a ton of sweetness. Regardless of my energy levels, Chum Churum – Apple took the iron throne as the dry, sometimes harsh alcohol edge is perfectly masked by the wonderfully delicious, sweet and sour, candy-like aspect of each sip. 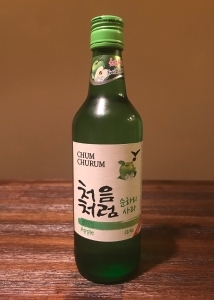 Apple might be a little played out at this point, but Chum Churum’s is easily the best flavored soju with its sweet and sour balance being reminiscent of some of my favorite candies. As soon as I twisted open the cap, the smell captivated my senses. It’s strong, it’s sweet, it’s sour, it smells just like green apple. All I can think of is how I wish that my bathroom smelled exactly like this (I’m sure you’re not supposed to think that about a bottle of alcohol). The taste doesn’t disappoint either. It’s very similar to a green apple lollipop with a trace hint reminding you that you’re drinking an adult beverage. The apple flavor also remains strong from the beginning to end making it a pleasant drink throughout. It does have the lowest alcohol content (12%) out of the test batch, which can explain the near absence of alcohol flavor. It is also super sweet so I’m not sure how much of it I could drink before feeling a little queasy, but that’s something you should expect when drinking flavored alcohol in general. For less than $6 at liquor stores, it’s liquid gold candy and definitely worth a try. Peach flavoring in candy and drinks in general has a pretty mellow flavor profile, and it doesn’t ever get as sweet or flavorful as the actual fruit. There’s nothing inherently wrong with that, but in the soju world you need a little more oomph to get on the same level as the apple soju. The smell is nice and pleasant, not overwhelming, but you wouldn’t necessarily know that you were drinking alcohol. Taste wise the peach flavored jolly rancher notes really come out. Its sweetness does do a pretty good job of masking the alcohol, just not as well as the apple. If I’m opting to drink flavored soju, it’s because I want to reduce the taste of alcohol as much as possible (kind of the main point). My wife prefers the peach flavored soju, which makes sense. My palate favors much stronger flavors than my wife’s, so if you want to to go with a milder taste I’d recommend trying the peach one out. Meh. It’s not bad, but definitely not as good as the Apple or Peach. Mostly it’s because I couldn’t stop thinking of Emergen-C, which I usually drink when I’m feeling sick. Also, its floral, citrusy smell reminds me of my scented floor cleaners… and being sick or cleaning are not my favorite conversation topics when I’m drinking soju. Out of the flavored sojus Citron is definitely on the lower end of the sweetness spectrum, which is a good thing as flavored sojus tend to get so sweet that they are difficult to drink for a long time. However, Chum Churum’s Citron just doesn’t mask the alcohol as well as the Apple and Peach. Additionally, it starts off with a strong citrus punch, but it quickly peters out and by the end just tastes like medicine. Again it’s not bad, but don’t expect freshly squeezed orange juice here. Many people would agree that soju’s claim to fame in the alcohol world isn’t really its flavor. Soju, as well as soju lovers, know what it is – a relatively low alcohol content spirit you can get for about $1.50 in Korea or $5 in the States. Soju is also a great foundation for a mixed drink due to its light, more neutral taste, at least compared to vodka or whiskey. Anyone can be a soju mixology expert and its flexibility has resulted in thousands of mixed soju creations — soju + beer (somaek, soju bomb), yakuroto + soju, [enter any fresh fruit] + soju, etc. 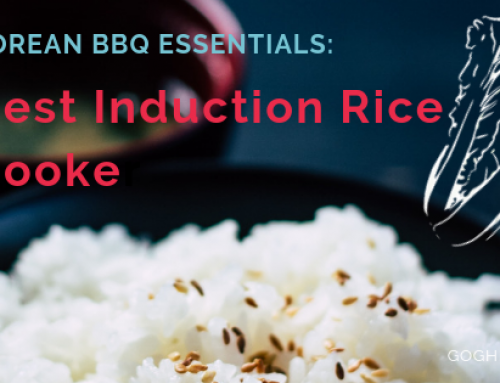 However, it does take some extra ingredients, a little extra effort, and maybe a blender to create that perfect concoction. 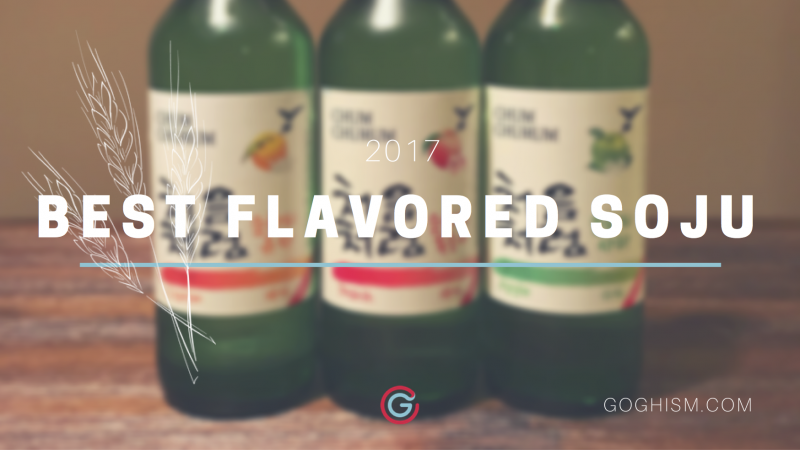 It wasn’t until 2015 that flavored soju finally came out on the market. I can just picture it in my head — a bunch of grown Korean folks sitting in a conference room asking themselves “what can we do to capitalize on the best selling liquor in the world? Oh, let’s make it tasty!” Pure f’ing genius. According to the Korea Times, Lotte, the owners of Chum Churum soju, came up with the idea of flavored soju to attract women customers who “showed they prefer fruit flavored alcohol such as wine and cocktails, but are reluctant to drink the beverages as they are relatively more expensive.” After it’s release sometime in 2015, Lotte sold 10 million bottles of flavored soju in 2 months. Again, damn. On the surface, there really isn’t much of a difference between regular, mainstream soju and flavored soju. They both come in everyone’s favorite little green bottle, are made by the same major soju companies, and generally follow the same distillation process. However, flavored soju has a lower alcohol content (12-14% compared to 18-22%) and is obviously flavored, usually with some type of fruit, making it sweeter and tastier than its counterpart (it better since you’re getting less alcohol). Also, flavored soju seems to be a drink better suited for hanging out with your friends while probably not the direction you want to go when drinking with your boss. I don’t think I want to find out how my father-in-law would feel about me if I were to offer him a flavored soju. It seems even more out of place when thinking about traditional soju etiquette… not exactly sure how it would play out. Regardless, flavored soju’s popularity is rising and is a perfect vehicle for an endless night of drinking games due to its low alcohol content and fruity taste (wait would a flavored soju shot even be considered a punishment?). Just be careful though! It may not taste like alcohol at all, but that’s when things get dangerous. 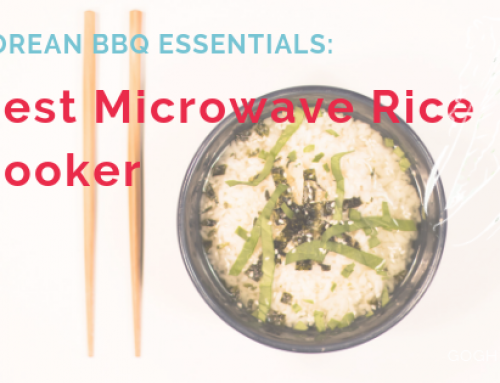 What is Good Flavored Soju? There isn’t much in depth research on what entails good flavored soju, most likely due to it being such a recent development. Buzzfeed recently released a video of “Americans Trying Flavored Soju” and consistent with the video a lot of it depends on your own personal preference. To try to narrow it down I focused on four main components that I look for in flavored soju, or frankly any fruit flavored cocktails. Smell: Flavored soju should smell as fruit-like and non-alcoholic as possible. When you’re paying extra for a flavor it better actually smell like it. Most people might not think about the smell when drinking hard liquor, but as with wine, it does play a huge role in the overall experience and heavily influences the overall drinking experience. Taste: More specifically, how well the flavorings mask the taste of alcohol; otherwise, why drink flavored soju in the first place. This also encompasses how artificial or natural the flavorings are. It doesn’t matter how inventive, creative, or awesome a flavor idea might be if it comes out horribly in the execution. Sweetness: Look I get it, it’s meant to be sweet, but there’s great, natural sweetness that keeps you coming back for more and there’s cloying, syrupy, overpowering sweetness that sends you looking for something else. Finish: The flavor should hold up throughout the drinking experience. It should be as smooth as possible while retaining that fruity note from beginning to end. My wife kept raving about this peach flavored soju a couple of years ago in Atlanta and me trying to be awesome of course have been insistent on finding some around where we live. So after years of searching, I was pleasantly surprised to finally find a few flavors at a nearby liquor store in a heavily populated Korean area of town. I haven’t had much success elsewhere, so it may be difficult to find flavored soju if you don’t live near a Korean grocery/liquor store. I’ve also noticed that online options are limited with shipping being a major hurdle as well. Although our current options are pretty slim, with flavored soju’s growing popularity in the U.S. I’m certain that the universe will find a way to bring some more great flavored sojus into my life. In the meantime, let’s see how these three sojus turn out. I’ll never reach soju god status, but with each test my confidence in my ability to provide an honest and research driven review that speaks to the heart of the soju drinking world has grown. There was no point in doing a blind test here as anyone can easily tell which soju is which (if you can’t then you’re wasting your money). However, to ensure quality control each soju will be chilled to 40 degrees Fahrenheit and will be both sipped and then shot (1/2 shot). Between each drink, I will use a slice of lemon and a sip of water as a palate cleanser. I will be focusing on four elements: nose (smell), balance, sweetness, and finish (smoothness). I plan to include other flavored soju as I encounter them and am definitely open to recommendations. I do like to travel, so maybe I can use this as an excuse to see Jinwoo in NYC or Jimmy in LA, areas rich with Koreans and soju. Sorry Shin, I don’t think Minneapolis will make the cut. I never really had an affinity for flavored alcoholic beverages. Maybe it’s just the wannabe macho side in me, as I’d rather have a nice scotch with an ice cube or a shot of soju straight up without adding anything else to it. I prefer a less complicated, straightforward drinking experience. This taste test didn’t exactly convert me as I still prefer regular soju over flavored, but it is a nice change of pace and something to consider for those who lean towards the fruitier or sweeter drinks. So cheers to expanding our horizons, discovering new tastes, and most importantly enjoying them with the ones we cherish the most.